2nd Unity3D Game - from Idea to Market in 4 hours! I've just released my 2nd Unity3D game to the market folks. 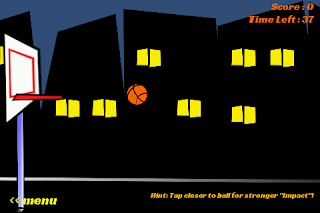 It is a 2D basketball shooting / hooping / scoring game. The best part, as the title mentions, it took less than 4 hours in total to get the game from idea to published in the market! All done in Unity3D, with not a single line of code written! Yes, the game is very simple and basic, but the fact is, with proper tools like Unity3D and some other plugins, you can start churning out games at a very fast rate. You can guess what game that is eh? 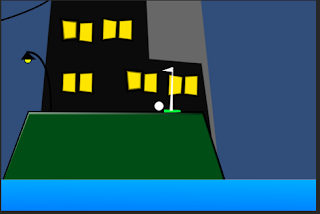 There is another one with the idea currently running in my mind, will get to that after Impact Golf is out. 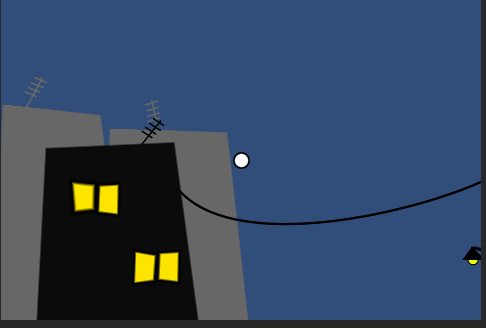 I am also working out other game types of course, still playing with the game mechanics for now. Await my announcements! I am using AppLovin for ads in the game. The plain old trusted banner ads. (Thanks susu for mentioning AppLovin had a unity plugin!). The plugin by AppLovin was just ridicoulously easy to integrate, that I was so worried that I might be missing out some details. But no, it really was super easy! Great job AppLovin! Let's see where this one goes then. Impact Jumper, as I'd expected, did not take off as I would have wished it to. Thank you all for the support, but the game is simply not discoverable. It has gotten some pretty good ratings so far though. I started the game with RevMob in it. I quickly got rid of them when they started paying out $0.02 per install for a full page CPA ad. Totally not acceptable!!! I put Admob in, and immediatelly started making much more money then RevMob. I then changed to AppLovin, and the revenues have gone back down again. AppLovin did not work for this game as there was simply no volume on it. CPA ad networks need volume to show solid results. I guess I will be returning to Admob again for that game. 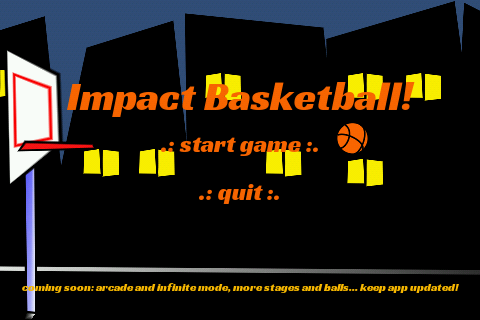 Hope I will get better downloads for Impact Basketball which would hopefully make the revenues from AppLovin sweeter! Lesson learnt: know when to use CPA and CPC ads, and avoid RevMob! Plugins used are Playmaker (thus no coding), and RageSpline. Yes my advice is stay the hell away from revmob at begining september they were paying $1 dollar per install but now they are paying $0.01! UNBELIEVABLE BAH! Yep, I too just had a $0.01 install for yesterday for one of my old games on their network. Very nice work Bill, Congratulations. I would like to ask you about the license of Unity. It goes for US400 to build for Android devices, but is it a one time fee or yearly activation? As for Unity3D being hard, remember when you were born, and walking was "so damn hard"? Keep at it dude, you will get a hang of it. Besides, you have just started with Unity, give yourself some time to learn it. That $400 for Android is one off. But of course when they release a new major update, you will need to purchase it again. I am not too sure about the current status of Unity3d version 4 (I am working with version 3.5), but if you're planning to get Unity3D for Android, try to get the latest one. I implemented applovin but strange thing i almost get none impressions/clicks from them when get good amounts of impressions of both admob and appbrain. Is this happening to you also? No impressions / clicks is strange indeed. The past 2 days have been really great with AppLovin for me. Impressions are almost 100%. I will Bill! one more question did you ever tried tapjoy? how do they compare with appbrain? Well just found out that airpush has a new type of ad called smart wall where people are saying it gives 2x or even 4x more then appbrain app wall. It was released on beginning September. But i do remember you saying to stay away from them did try them again? Is it still your current opinion? Well, the smartwalls are performing quite well based on what I've read, and seen myself. I am still staying away from them on google play, but released an update on slideme with the wall in. As is the case with new ad types or new ad networks, revenues is higher right now for this smartwall. Smartwall in my opinion is pretty much a simple idea, but because airpush is the first to execute it, they do get credit for it. For those who dont know, Smartwall kind of checks out between an app wall, a dialog ad or a landing page (offer sign up web page), depending on available inventory and probably some other optimisation. I'll still stay away from Google Play with Airpush for now. As of today, do you still stay away from Google Play with Airpush? Well, I have re-implemented airpush back into my apps (non-unity3d apps). After much contemplation, I figured it was fine having airpush in (and sucking in the 1-star ratings). Thanks for your reply. Recently I've implemented Airpush as well and some users write me an email asking why I've placed a virus on their phone, so that got me concerned. I do look forward to your post on the ad networks that you're currently using. I think this mobile advertising game shifts very quickly. As developers, we do need to monetize and optimize to the best possible and at the same time try to keep our users happy. Keep up the blogging. Thanks. Well, most mobile anti virus companies wanna appear as champions, and mark many ad networks as adware or viruses. Adware mostly. Problem with users is that since the warning came from an anti virus app, they think it is a virus. If you are getting emails about it, I'd suggest you reply to the users and tell them it is not a virus, instead the anti virus company is just highlighting that you have certain ad types in your app. Bill created new AirPush wrapper for B4A and I'm the beta tester. I can confirm their SmartWall's revenue is better than AppBrain. And you earn money even the users DON'T install any app. Susu is right, you get paid per impression it seems. My ecpms are ranging from $2 to $8 for it. How is the admob doing for impact jumper? Admob for my game is doing horribly these days, and I don't know if it's just me or if there's just no good inventory on it. My game (https://play.google.com/store/apps/details?id=com.turkeybasedgames.bas) gets a solid number of impressions between google play and amazon app store installs, but my eCPM has tanked down to around 25 cents these days. I was close to $1 early in the summer, but it seems like it fell off a cliff in the last month. I have 90% U.S. based traffic so I don't get what the problem is, as I am always hearing about other people getting solid eCPM from admob. Admob is horrible... lots of people say that too.. I've also read of people having an ecpm dive recently. I tried out MobFox, but that turned out even worse than AdMob, which surprised me. I didn't try their eCPM control because of the restrictions it imposes. What networks are solid and give reasonable payouts these days? The problem is you can't listen to anything they say about themselves -- they all claim to deliver something ridiculous like $50 eCPM which we all know is a complete load. But only use applovin if your downloads are from Google play, as their ads point to apps on the play market.